Mason jars come in super handy at home, but they can be heavy and bulky. That's why these Mason jar zipper bags are a great alternative. 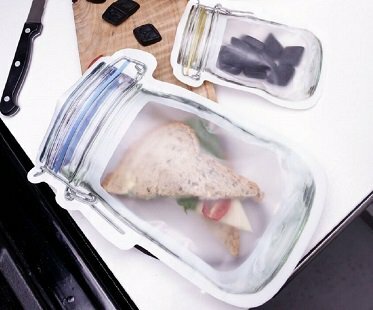 Set includes four which can be reused and they're great for sandwiches, snacks, candy and more.